Test subject Bill asked for Bolognese sauce last week. It’s always nice to get a request…and then NAIL IT. This sauce was a thing of beauty. I recommend serving it over homemade pasta for best results! 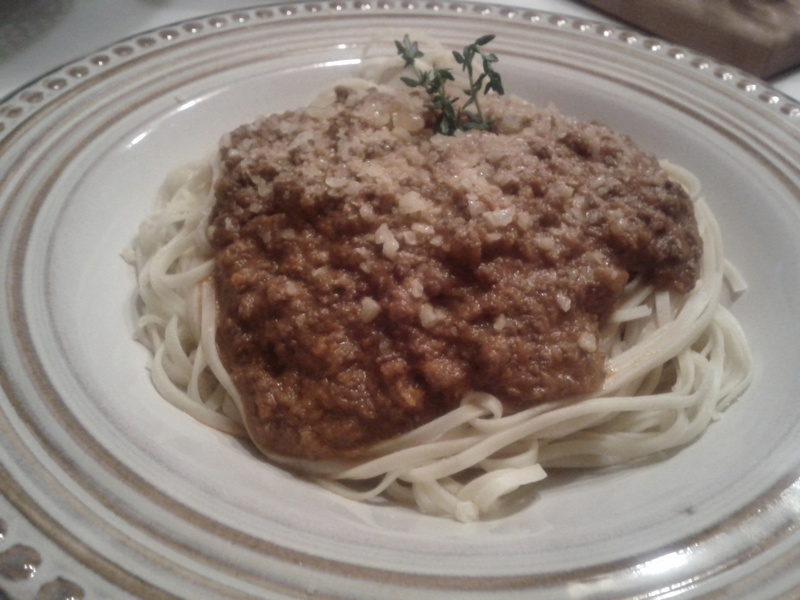 Note: a good Bolognese takes time. Don’t rush it, and you will be rewarded. Buzz your onion, carrot, celery and garlic in the food processor until you have a chunky paste. Warm the olive oil in a heavy saucepan and add the garlicky mirepoix. Hit it with a big pinch of salt. Cook gently for at least 20 minutes, letting the flavors develop. 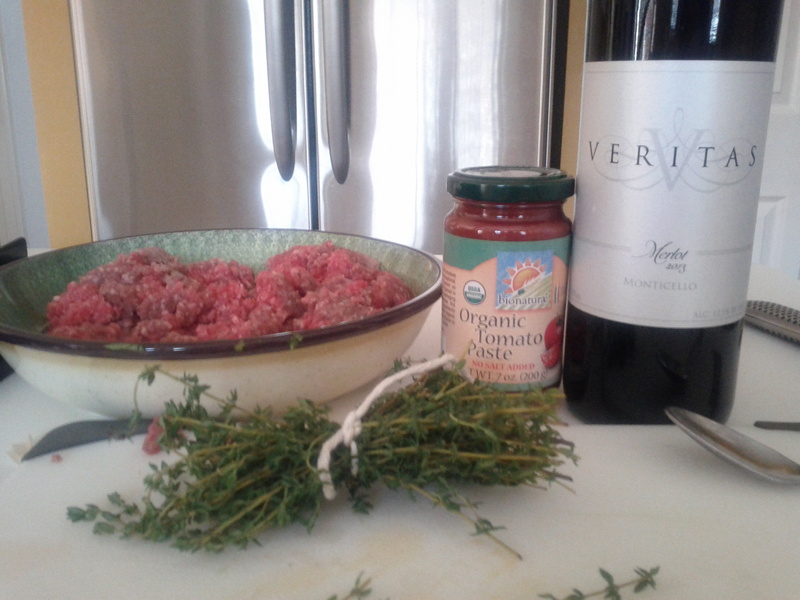 Add the ground beef (you’re using grass fed beef, right?) and give it a good strong stir, blending it well with the veggies. Let it cook, stirring frequently, for another 15 to 20 minutes. Stir in the tomato paste and let it cook for another few minutes, then add the wine. Bring the mixture to a light simmer and hold for 15 minutes or so, stirring frequently, then add about half a cup of the water. Add the curry powder, thyme and bay leaves. Bring the mixture back to a simmer and give it some time, at least 15 minutes, stirring frequently, before adding another half cup of water. Monitor your sauce, adding water as necessary when it reduces, and tasting and adjusting salt and pepper as desired. The longer you can let it go the better it will be. Mine probably went in this phase for about two hours. Slowly stir in half a cup of heavy cream and let it just heat through before serving. Top with fresh grated parmesan cheese and a smile.